"The Legend of the Black Rose"(to be released July 29, 2014) by D.C. Cowan is the first book of a unique fiction series that melds the genres of history and fantasy. Though written over thirty years ago by D.C. Cowan, the book has just been published recently. In the book, the spirit of the African Princess Kula Kyrni Kara who was kidnapped from her homeland and forced into slavery is known as the Black Rose from the legend. Wanting her freedom, the Black Rose chooses Ciscely Raymond, her direct descendent, to be her bodily host and sends Ciscely back fifty years into the body of another woman from her church. 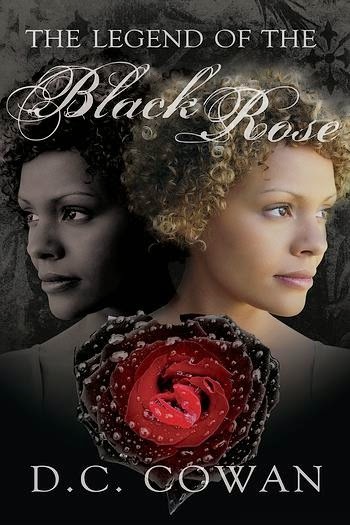 "The Legend of the Black Rose" is a story about love, pride, racism, and spirituality, as well as a mystery as to how to retrieve Ciscely from 1930 and back to the life she knows is hers. The book is written very well with a keen attention to character and plot details as well as the development of the setting of the fictional landscape. The writing is also very creative in the way the author tells the story from the perspectives of the Black Rose and from Ciscely in different periods of time. "The Legend of the Black Rose" by D.C. Cowan is a perfect new fiction series for you if you enjoy history and fantasy. Pick up a copy on July 29!